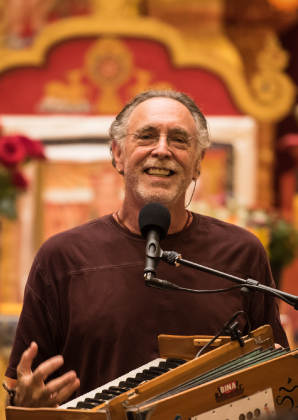 We are thrilled to announce that Krishna Das will give a workshop Peace of My Heart on June 27th at De Duif in the Heart of Amsterdam, the day after his big Kirtan concert on June 26th at KAF theatre in Almere. Ticketsales for the Amsterdam Workshop starts April 5th, here. Kirshna Das will also give a concert on June 26 in Theatre Almere. You can find more info about that event here. 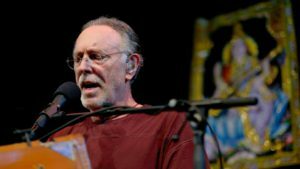 Krishna Das has been recording albums of traditional Indian chants and song since 1996 but has been on a spiritual journey his entire life. 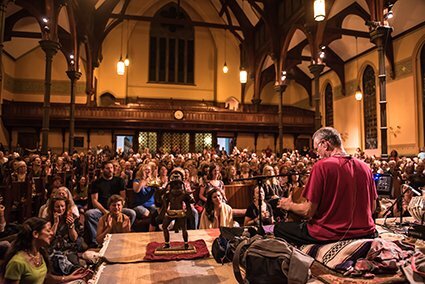 Born and raised on Long Island, New York, Krishna Das has been at the forefront of utilizing western melodic sensibilities in Hindu kirtan (chanting) and satsang while maintaining its traditional base and structure and is a master of infusing the Indian tradition with modern influences. 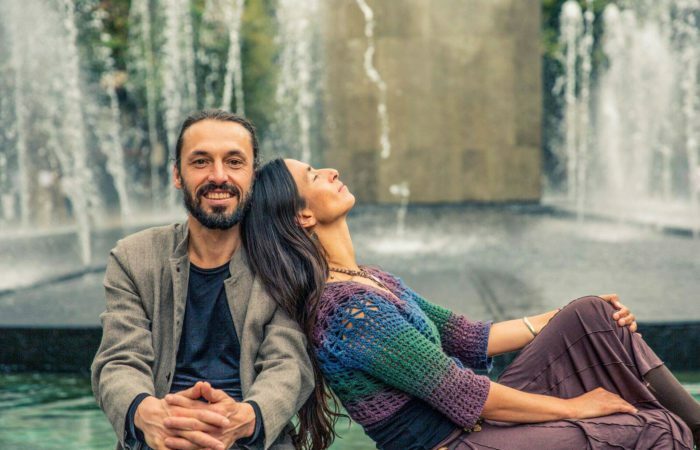 While staying true to the path of Bhakti or Devotional Yoga, his music is energized with modern grooves and melodies to create soulful chanting that is eminently accessible to western hearts. 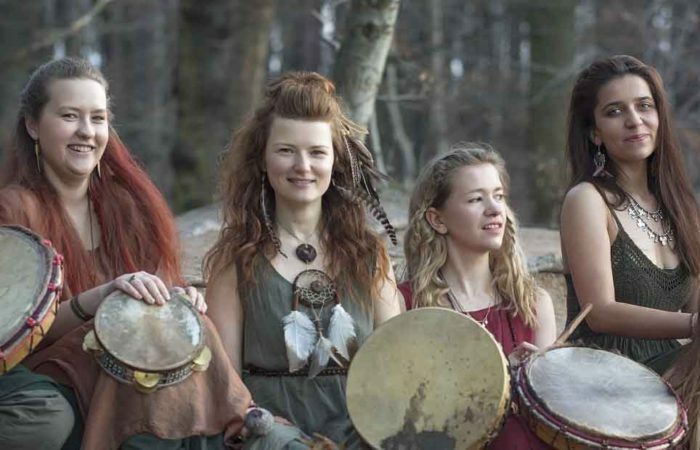 Soundclips from KD workshops can be heard here. Video about KD’s workshops can be seen here. Get a glimpse of topics that are discussed by excerpts from his book Chants of a Lifetime, here. Or you can listen to recordings here. 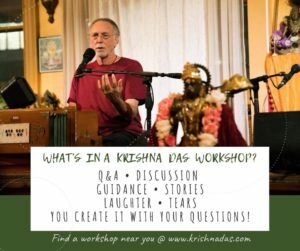 For more information about Krishna Das visit krishnadas.com. We are looking forward to welcome you all at the workshop! (looking for the concert in Theatre Almere on June 26th? See here). There are two type of tickets available, to sit on a CHAIR or to sit (on your own) CUSHION. Ticketsales starts April 5th 2019, here. Want to stay informed about our HeartFire events? Subscribe to our newsletter.